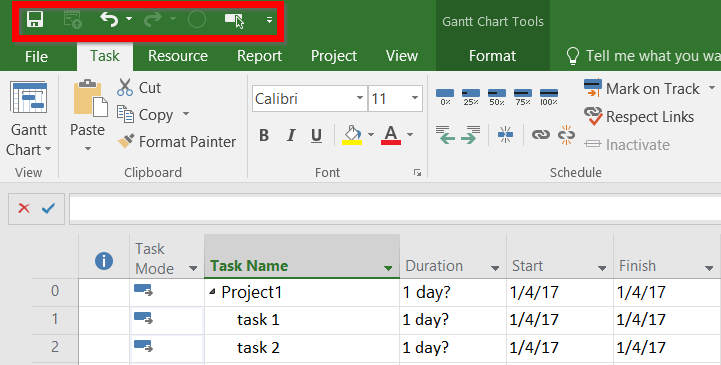 Since the timeline feature was introduced with Project Professional 2010, Microsoft Project has made great strides in improving it – especially over the last three versions. In today’s post, I will outline the highlights and some of the more advanced features that people have been asking me about for years. The adjustments shown below are simple yet impactful. Just follow the steps and you will be on your way to brilliant, easy-to-read timelines. To label your timelines, use the new “Bar Label” button in the format ribbon of your timeline. You can name each timeline individually. To adjust the timescale labels, click on the “Start” or “Finish” date on your timeline, and then click “Date Range” in the format ribbon. 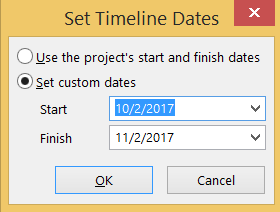 Using the “Set Timeline Dates” dialogue, establish custom dates for your timeline. Note: I personally set different dates for my second timeline. 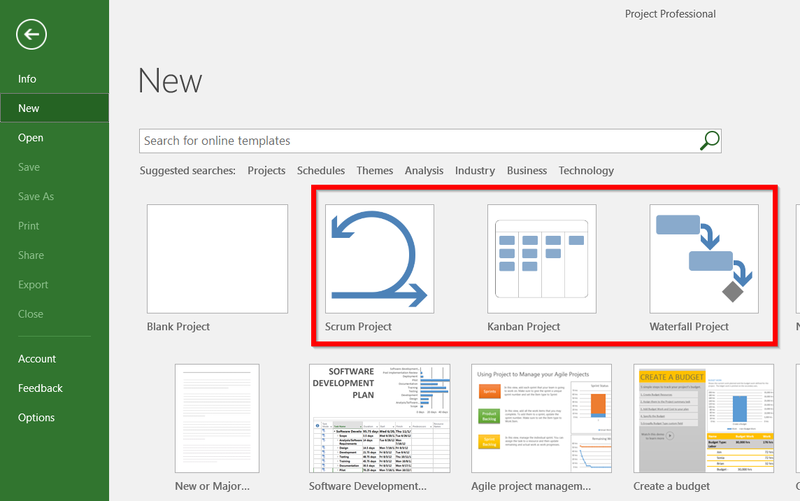 To add an additional timeline into your project schedule, use the “Add Timeline Bar” button in the format ribbon of the timeline. 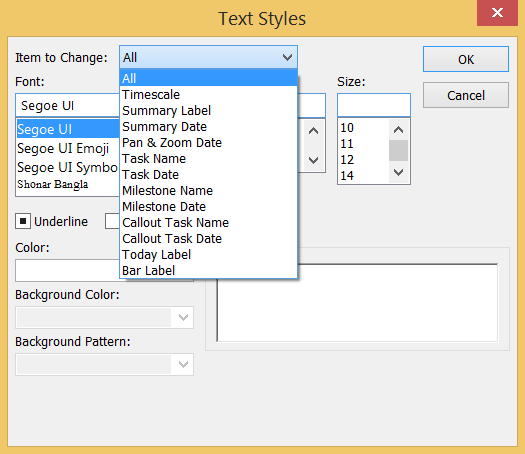 I’m a huge fan of text styles within Microsoft Project, so I like to customize the various text fields within a timeline. To do this, click on the “Text Styles” button in the format ribbon of the timeline. You can then change the font, color, and size of various objects within your timeline. Note: I adjusted the Milestone Names and Bar Labels. To view the progress of tasks within your timeline, all you need to do is upgrade to the latest version of Project Professional for Office 365. This feature was released within the last few months. I hope these five tips have transformed the way you look at timelines! 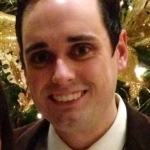 Stay tuned for more Microsoft Project and Project Server insights from Tom’s Tech Talk.